Horizon is a special class for gifted and high achieving students. Georgia defines a gifted student: a student who demonstrates a high degree of intellectual and/or creative abilities, exhibits an exceptionally high degree of motivation, and/or excels in specific instruction and/or special ancillary services to achieve at levels commensurate with his or her abilities. At Battlefield Elementary we offer gifted S.T.E.a.M. classes in 3rd, 4th, and 5th grades. Gifted testing is conducted in the spring. The screening process can be initiated through a parent or teacher testing request. E. Landry received a Liberal Arts degree in 1973 with a major in history and a minor in philosophy. He worked in a variety of occupations before deciding to enter the teaching profession when in his 30s. E. Landry has earned a B.A in Liberal Arts , B.A. in education, a M.A. in education, and 3 additional teaching certifications in Louisiana. He has gifted certifications in Georgia. .Mr. Landry taught academically gifted students in Louisiana for 8 years before moving to the Chattanooga area after hurricane Katrina. He has been teaching gifted students at Battlefield Elementary since the 2006-2007 school year. 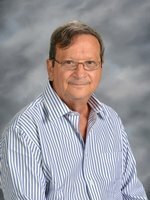 I, Ernie Landry have taught, 17 1/2 years in Louisiana, 1 year in Tennessee, and started teaching 2006-2007 in Georgia. I have various Georgia teaching certifications with a Liberals Arts degree (BA), BS in Education, and a MA in education. The Horizon class is a Georgia 3rd, 4th, and 5th grade S.T.E.A.M. classes. The instruction is student centered and has a S.T.E.M. focus. Gifted parents are welcome to visit the class at any time.